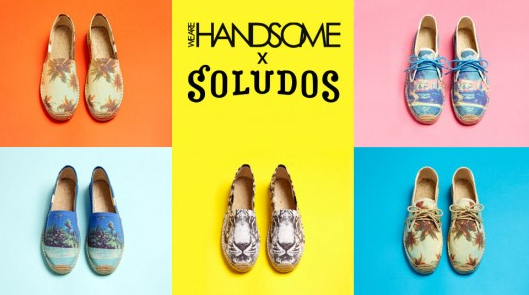 We Are Handsome collaborated with Soludos to create a print shoe! 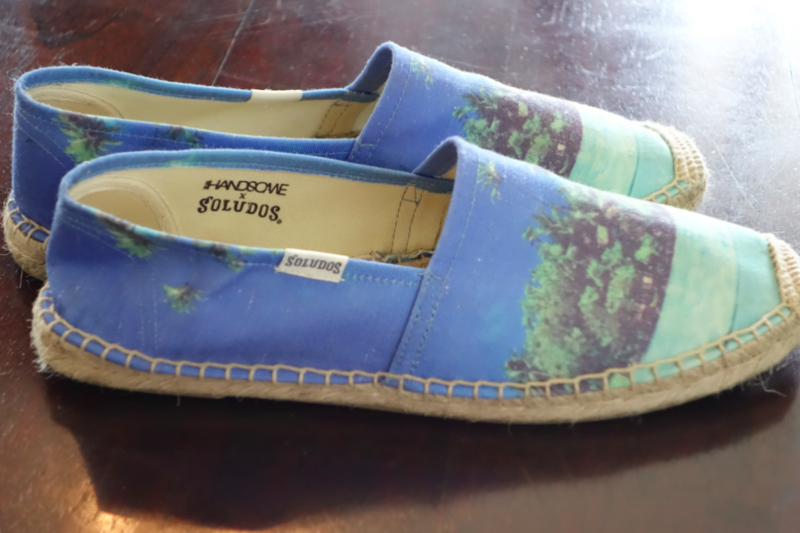 WAH’s imagery on Soludos’s shoe! SOLD! The top is 100% cotton with the classic espadrille bottom. We Are Handsome is a witty, zany, creative Australian brand known for its fun and vibrant prints on bathing suits. So the perfect match — SHOES! 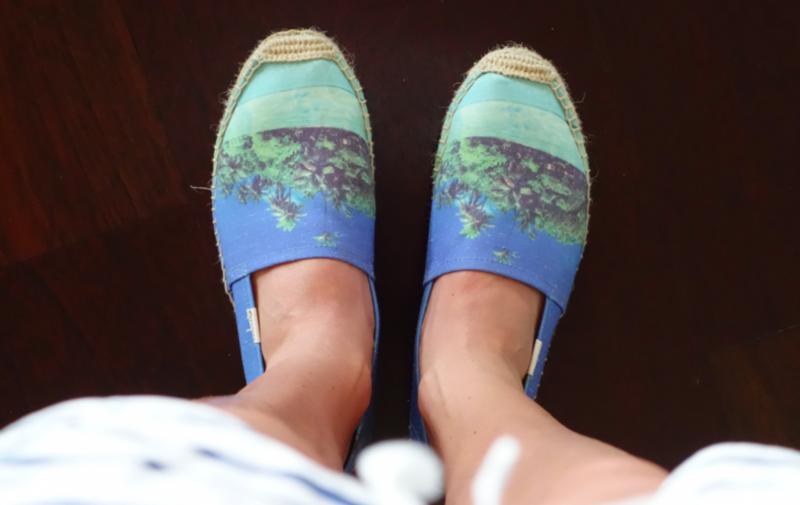 My favorite are the Tropical ones — reminds me of a perfect, tropical island!To buy, go here! And hurry now before they are sold out! Spice up your shoes and make the beach even MORE fun. And then pair it with a Mexican shirt, some striped shorts, and then PAR-DY. Hello colors and prints! How I wish I were in sunny Florida NOW! Yael!! You wearing that outfit reminded me of your striped tights in high school. Makes me miss you and your family even more. Love ya!! Like them.. weird name but I like them! Je peux vous diore ԛue ce n’est nullement inexact ..